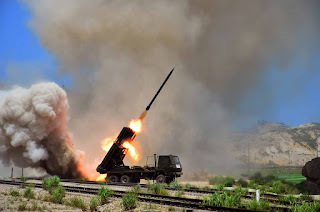 PYONGYANG / SEOUL, -- North Korea has shelled a South Korean military unit on the western section of the inter-Korean border, a move retaliated by the South's military, according to the South's defence ministry. 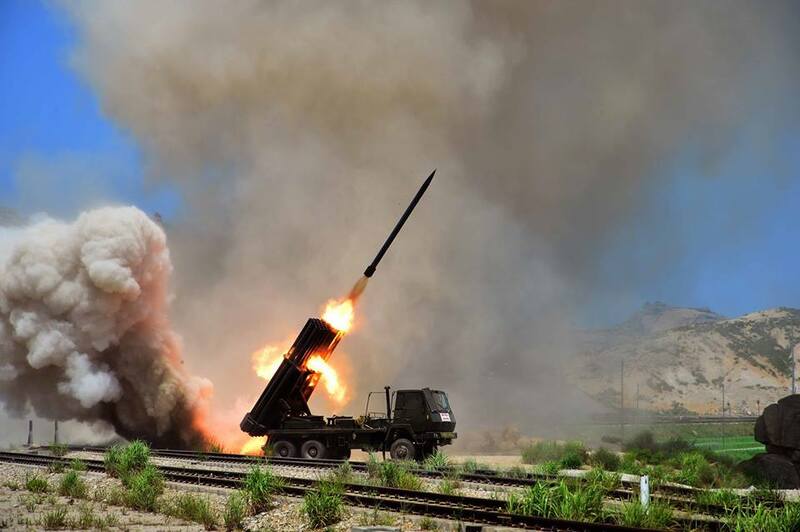 Defence ministry said on Thursday that South Korean military detected a projectile from the North, presumed to be a rocket, into the South's Yeonchon area. The ministry also said that the South Korean military fired "tens" of 155mm artillery rounds to the origin point of the North Korean projectile after the incident. The suspected North Korean projectile landed in an area about 60km north of Seoul in the western part of the border zone, the defence ministry said. "Our military has stepped up monitoring and is closely watching North Korean military movements," the defence ministry said. Al Jazeera's Harry Fawcett, reporting from Seoul, said that, according to officials, the projectile targeted a propaganda loudspeaker at the border and was detected at 3:52 local [6:52GMT] time. "This follows a recent statement from South Korean military chief telling his forces on the border that they should not hesitate to respond resolutely and powerfully to any North Korean provocation," Fawcett said. The South Korean defence ministry said that North Korea demanded the South to stop the propaganda broadcasting within 48 hours and dismantle all equipment, else it would initiate military actions. The official Yonhap news agency said that Seoul will hold a National Security Council session over the shelling. South Korean residents in the area were ordered to evacuate, according to the agency. On August 4, two South Korean soldiers were seriously injured in a landmine explosion in the southern part of the demilitarised zone, causing them to lose limbs. Al Jazeera's Fawcett said that in response to the landmine blast, South Korea restarted using loudspeakers for anti-Pyongyang propaganda, a first step in their retaliation. "The North Korea responded in kind, starting a similar propaganda campaign, and said that they would target South Korean loudspeakers. This development appears to be an attempt to do that." Forces of the Democratic People's Republic of Korea (DPRK) shelled South Korean troops in the western border.